Today two of my friends, L & D, were married. A new beginning for their family. And a reminder of the importance of hope. Before the SCOTUS ruling at the end of June L & D might have married according to Jewish tradition, however their marriage was not recognized by the State of California. 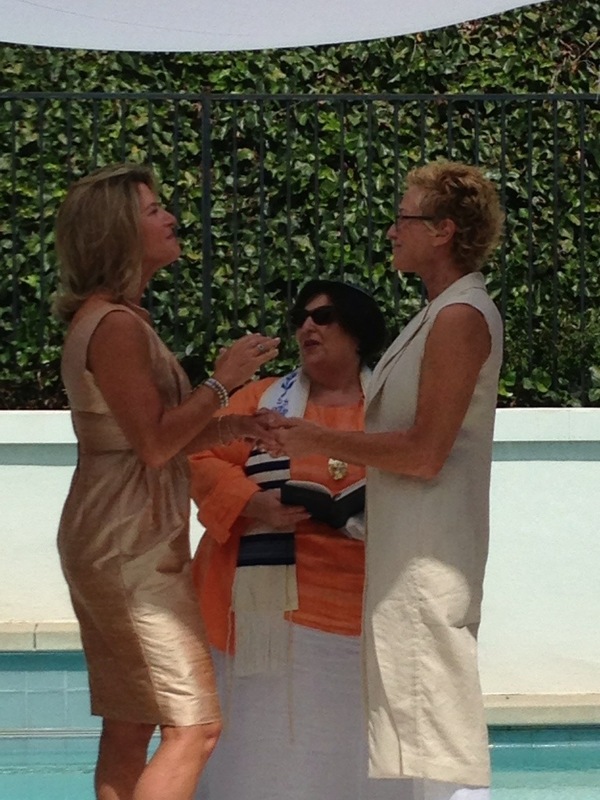 Today they were married according to the laws and rites of Jewish tradition and the State of California. As we prepare for 5774 I can’t help but wonder how the changes that started in 5773, marriage equality in Washington, Maine, Maryland, Minnesota, Rhode Island, Delaware, and California, will impact the rest of the nation. (I’m not forgetting about New Mexico, I’m just not sure how to categorize it here) And of course the continued decisions stemming from the SCOTUS decision that sections of DOMA are unconstitutional.